In a move that seems like double-sacrilege following 2009’s movie, DC Comics announced seven Watchmen prequels to be released this summer, sans writer Alan Moore or artist Dave Gibbons. I can only think of the Star Wars Prequels in terms of what to expect from this move, especially with what’s considered the Holy Bible of graphic novels. Watchmen practically invented the graphic novel genre, was the only one to make Time Magazine’s “100 Greatest Novels” list in 2005, and EW declared it “The greatest superhero story ever told and proof that comics are capable of smart, emotionally resonant narratives worthy of the label literature.” While I personally liked the film after getting caught up in the Watchman reading frenzy that swept my high school, these prequels seem like a cheap way to milk the franchise. It’s a risky move, but the new team of artists could make magic work, but acknowledge that the devout fanbase feel alienated. Speaking of aliens, another Prequel project announced for the summer is Ridley Scott’s Prometheus, one that I’m excited for. Set before 1979’s Aliens, it creates its own mythology, with these aliens sharing similar DNA to the iconic Xenomorphs. 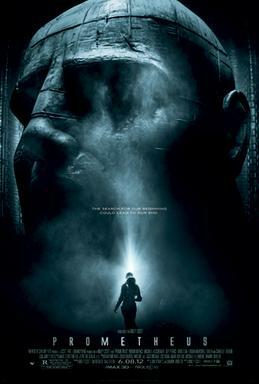 The Prometheus trailer even gives a huge nod to the original trailer. Perhaps this one will give a much-needed injection to the trend of bad prequels that Hollywood has put out in the past. Very high hopes for a diamond in the otherwise soulless tradition of rehashing old, established projects.